Wines with personality: rich, flavorful reds & crisp, aromatic whites. From refreshingly crisp whites to complex, age-worthy reds, these handcrafted wines are the finest representations of vintage year, varietal character, the geography of our region, and the soul of our winemakers. Made in limited quantities, the Landmark wines are sourced from 100% Maryland grown grapes, principally from Boordy’s estate vineyards in the Long Green Valley of Baltimore County and South Mountain Vineyard in Frederick County. Offering both dry and semi-dry wines, the Chesapeake Icons are crafted for the discriminating wine consumer who appreciates exceptional value. We source the grapes from our estate vineyards, as well as from grower partners within Maryland and other states with the goal of yielding wines that are consistently rich in flavor and impeccably balanced vintage after vintage. Four Maryland Governor’s Cups, double golds in international competitions and reviews from the press validate and support our quest for excellence. When professional judges compare our wines to others in a similar class, they provide invaluable insight that keeps us on our toes. We include a current list of competition results here. 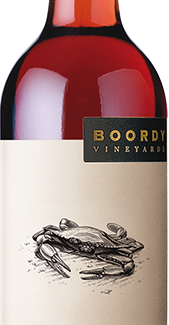 Commemorate a special occasion with a case of Boordy wine bearing your personlized label. Looking for something sweet? 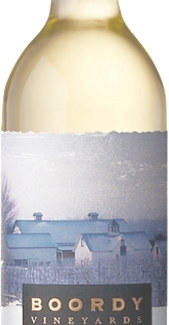 Check out our Sweetland Cellars wine.